We can conduct a complete inspection of the appliance to make sure it meets up-to-date safety regulations. In the event that the appliance doesn’t adhere to regulation we will let you know what work needs to be done to bring the boiler back into regulation. You should note that boiler servicing in Birminham can only be undertaken if the appliance is in full working order. In the event your appliance requires a repair remember to let us know when phoning. All gas consumers are encouraged to have their appliances checked for safety at least every 12 months. Check working pressure if test point available. The burner pressure will be checked against the manufacturers instructions. Conduct flue flow / spillage test to ensure safe removal of products of combustion. The boiler will be thoroughly checked for any signs of incomplete combustion. Inspect flue to make certain it is safe, secure and also to current standards. We supply you with peace of mind as we guarantee our work and in the extremely unlikely case a miscalculation is made, we shall immediately deploy a seasoned member of staff to amend any issues with work which has been conducted until you are 100 % satisfied with the job. No payment is requested in the first instance until you, the customer sign off on the job. 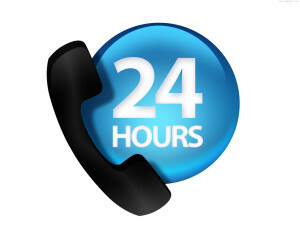 We attend work throughout the West Midlands, and our average response time is just 1-2 hours for emergency repairs. Please give us a call for low cost boiler servicing in Birmingham.